Humans have recognized the benefits of using canines in law enforcement dating back to Ancient Egypt. In New York and other American cities of the 1800’s, officers who walked their beats carrying only batons were no match for criminals armed with knives and pistols. To reduce the high rate of on-duty officer injuries and deaths, U.S. municipal police agencies began to pair up specially trained officers with canines. 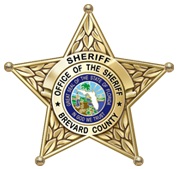 In 1997, the Brevard County Sheriff’s Office re-established the K-9 unit, which only consisted of four K9 teams. The K-9 Unit has now expanded to seventeen K-9 teams that are individually assigned to different precincts throughout Brevard County. These K-9 teams are composed of a handler assigned to a specific canine partner. Currently, the Brevard County Sheriff’s Office utilizes canines of several common working breeds. Three Labrador Retrievers are utilized as single purpose explosive detection canines, although they are also cross-trained in tracking to utilize for missing person tracks. The thirteen remaining K-9 teams utilize German Shepherds, Dutch Shepherds, and Belgian Malinois, which are dual-purpose patrol and narcotics detection canines. K-9 teams are currently assigned to different precincts, and are mainly utilized to support uniform road patrol deputies. When the K-9 deputies are not using their canine partners, they assist with the various calls for service in their precinct. In 2008, the K-9 teams assisted the road deputies with 1038 drug sniffs on vehicles, resulting in 183 arrests for drug related charges. The K-9 teams also assisted the patrol deputies during other investigations by conducting building searches (158), area searches (20), and tracks for lost persons or criminal subjects (126). The K-9 teams also assists other law enforcement agencies when they request K-9 support. In 2008, the K9 Unit assisted a variety of municipal, state, and federal agencies on 144 occasions. Police dog candidates often come from proven bloodlines with a documented lineage of quality working offspring. German Shepherds are a common choice of breeds because of their superior intelligence, versatility, stability, energy, strength and adaptability, although other breeds have proven their ability to be an excellent K-9 candidate. Selecting a working canine from these proven bloodlines can still be a daunting task. There are certain characteristics that are necessary for a good police dog; they include temperament, courage, endurance, sharpness, and instinctive drive. Most police dog candidates have these positive traits to some degree, but not all dogs exhibit the proper balance required of a good working canine. Testing the candidates can show us how each of their characteristics manifest themselves in certain scenarios, thus allowing us to pick the better dogs. This series of tests is designed to gauge the dogs base level of performance in each of these traits. Once a dog is chosen as a BCSO K-9 trainee, it will go through a Florida Department of Law Enforcement approved Patrol K-9 training course. The K9 Patrol Training Course consist of 400 hours of training, which covers obedience, man work (physical apprehension), recalls, tracking, building searches and agility training. Once a canine completes the patrol training course, the handler and his K-9 still have to be certified by two FDLE approved evaluators. After the K-9 team passes certification, they will go through additional training in narcotics or explosives detection. After the K-9 team passes their certification(s), the training does not stop.Continuous maintenance training must be conducted or the canines will lose proficiency in their trained tasks. Every Wednesday, all K-9 teams meet to stay proficient by providing new training challenges to both the K-9 handler and canine partner. This training will cover basic obedience, building searches, area searches, bite work and drug searches; but also allow trainers to cover unique scenarios encountered by other K-9 Teams on actual calls or advanced tactical training and deployment with other specialty units such as SWAT, Ag/Marine, and FWC. The Brevard County Sheriff’s Office has received several generous donations from local residents and businesses, which offsets the cost of purchasing a new canine. Monetary donations are not the only way local businesses support the K-9 Unit. Braden Kitchens generously gave the K-9 Unit access to their building so we can train the canine in building searches. The K-9 Unit is always actively looking for new areas and buildings to train in. This support provides a "win" for all involved by providing a law enforcement presence to businesses during training, and new opportunities for K-9 Teams to train in realistic environments. Once a canine is purchased, he/she stays at the handler’s home. A fully enclosed 6’ x 10’ kennel is built at each handler’s residence to house the canine during off-duty hours. These kennels provide a sheltered, sanitary, and safe environment for the canine. Oftentimes they include a personal touch for the canine such as a doghouse, elevated sleeping platform, fans, etc.A handler also has the option of allowing their K-9 partner to live in their residence alongside their family and other pets. The K-9 Unit also performs demonstrations throughout the year. The K-9 handlers use these demonstrations to show how their trained dogs listen to them in obedience; how they apprehend criminal suspects and release on command; how they can find lost items or articles in high grass; and how they alert on hidden drugs. In 2008, the K-9 Unit performed over 100 demonstrations.In 2009, the K-9 unit is on course to conduct 100 demonstrations or more. These demonstrations also serve as an opportunity for the handlers to show how our canines can interact socially with all citizens, young and old alike, in a friendly manner. Any local business, organized groups, or private citizens may request a K9 demonstration. 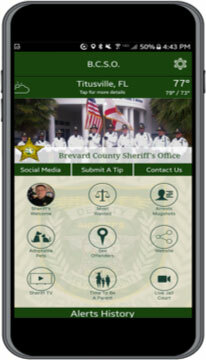 To make a request for a demonstration, contact the BCSO Special Operations Division. Though the dog is a significant part of a K-9 team, the handler is extremely important. These deputies are special men and women. Each is professional and self-disciplined. Deputies that handle Patrol K-9s must have very good judgment, as their roll as a K-9 Handler will place them in a higher percentage of critical and dangerous situations, such as lethal force standoffs. All handlers must be dog lovers and have a natural ability to communicate with his or her K-9 partner. A BCSO K-9 reaches the age of retirement usually around 7 or 8 years old, or when it can no longer physically endure the stresses of the job. After retirement, they are usually adopted by their handlers and live out their retirement interacting with their family. The Jail Complex is home to Bloodhounds that have been trained for tracking wanted persons and searching for missing persons. These dogs live in a kennel on the Jail grounds and are teamed up with Corrections Deputy handler. All the teams are members of the FDLE Child Abduction Response Team and the National Center for Missing and Exploited Children’s Team Adam. In addition to the Bloodhounds, the Jail also has a German Shepard trained for narcotic detection. BCSO is proud to have a cadaver dog as part of the team. Canine Sherlock holds certifications through the International Police Working Dog Association, Tennessee Search and Rescue Dog Association, and has a National Center for Missing and Exploited Children / FBI Cadaver Certification. Sherlock has been called to duty many times and has also assisted in disasters outside of Brevard County.